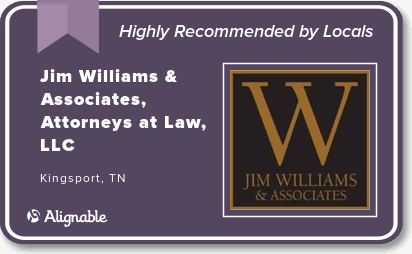 Wills & Estate Planning Attorney in Kingsport, TN | Jim Williams & Assoc. Jim Williams & Associates can assist you in the creation of a flexible, legally sound estate plan to distribute property and assets according to your wishes. Anyone with assets or minor children will need an effective estate plan. In addition, you will want to provide instructions for loved ones related to your medical care and financial decisions should you become ill and unable to speak for yourself. Allows you to avoid probate by leaving assets that pass directly to beneficiaries upon your death. A Last Will & Testament should set forth a clear description of how you want assets and property distributed upon your death as well as instructions for the care of minor children. 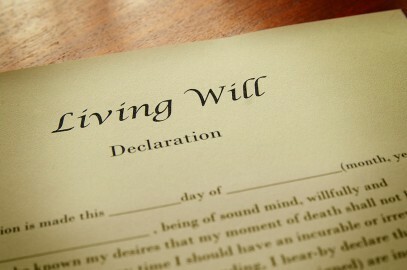 A Living Will is one form of advance directive setting forth specific instructions as to what actions should be taken for an individual’s health, if they are no longer able to make decisions because of illness or incapacity. Another form of advance care directive is a specific type of power of attorney or health care proxy in which the person authorizes a trusted individual (an agent) to make decisions on their behalf when they are incapacitated and to represent their interest if the individual cannot. We recommend that clients have both a Living Will and Power of Attorney for Healthcare to provide comprehensive guidance regarding their healthcare should they be injured or become ill and unable to speak for themselves. Also called a directive, or “proxy”, a power of attorney can be given to a trusted individual to make financial decisions and represent your interest if you cannot. An Appointment of Agent to Control Disposition of Remains is used to appoint a trusted individual to manage your funeral, burial, cremation or other disposition of your remains as you so desire. In the event an individual becomes ill without leaving written instructions or authorizations regarding healthcare and/or financial matters, the attorneys at Jim Williams & Associates can assist in legal proceedings to name a Conservator to make healthcare decisions for and or manage the individual’s financial and personal affairs. With our aging population, the issue of asset protection and management after entering a nursing home or care facility has become critically important. A careful review of your estate and the creation of a care agreement can avoid disputes with nursing homes and the potential loss of assets and seizure of property over unpaid bills. This is especially important if you are receiving Medicare or Medicaid benefits. The estate planning attorneys at Jim Williams & Associates have prepared numerous estate plans for clients in Tennessee and Virginia. We believe that having a clear understanding of our client’s needs and providing them with a clear explanation of their legal rights and options will avoid family disputes over the client’s healthcare treatment while they are living and their estate after they pass away. For more information and a FREE consultation, please CONTACT an estate planning attorney at our downtown Kingsport office located at 324 Cherokee St.